Over the years, of the various KS original recordings I’ve produced in my studio, a few in particular of the song productions have held up to the test of time. LET IT SCREAM is one such a thing. Written specifically for being useful as a theme song for events: sports, motivational, rallies, dance, party, etc., LET IT SCREAM was recorded around 2001 with vocals performed by Lisa Kalison. Released this week, in December of 2017 (better late than never). Click on the picture below to go to Cdbaby.com to hear and purchase. Also, hear LET IT SCREAM at Soundcloud.com. 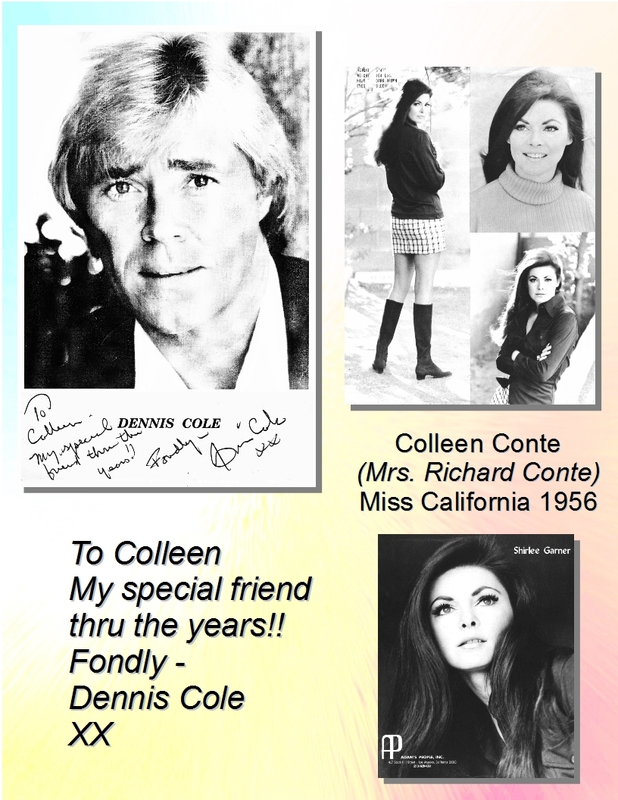 Within my family collection are various inscribed photos of famous (friends) people, written to my mother, Colleen Conte. 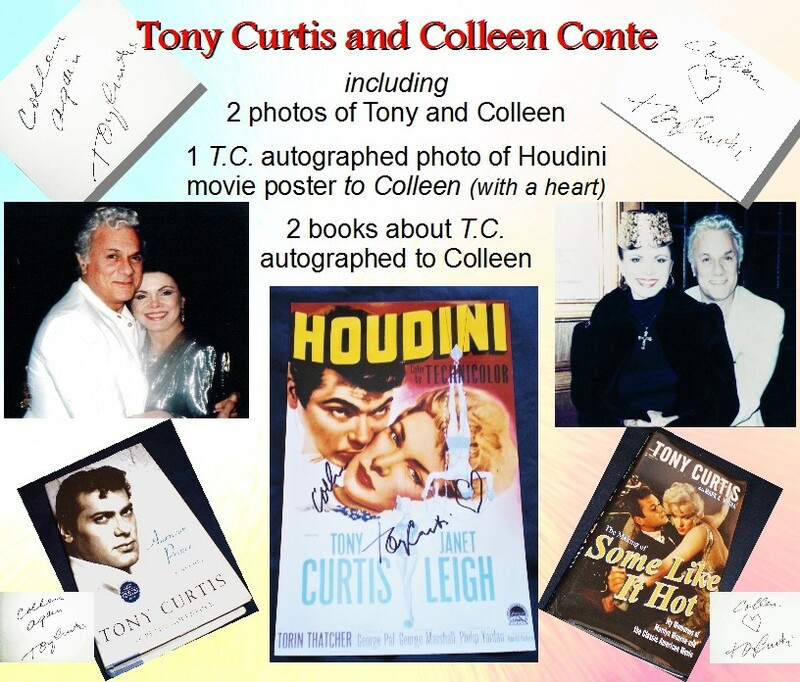 Featured in this post is a photo from actor Dennis Cole and a photo of a Houdini movie poster and two books about and written by Tony Curtis, signed to Colleen. 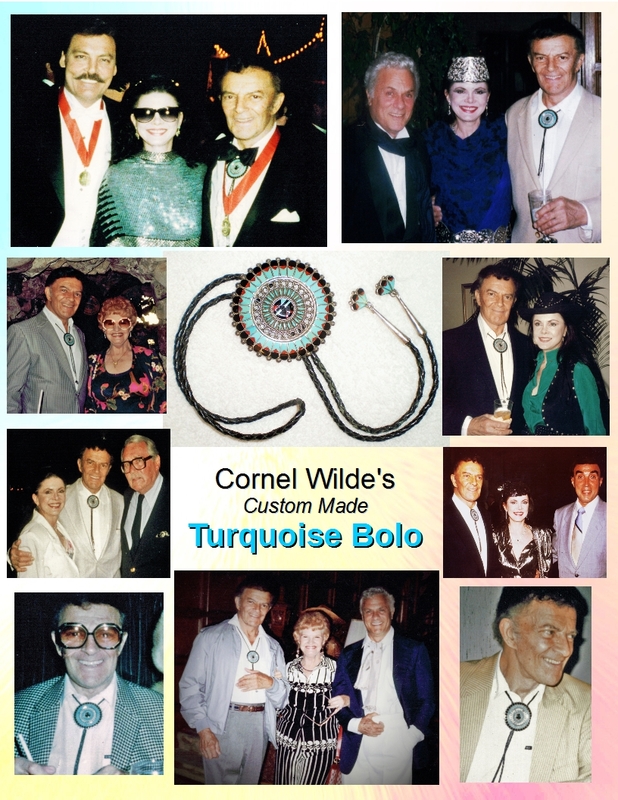 Also, among the items I’m offering on Etsy and Ebay is the actor Cornel Wilde’s Turquoise Bolo. Colleen had this bolo custom made by the Zuni tribe many years ago for Cornel. 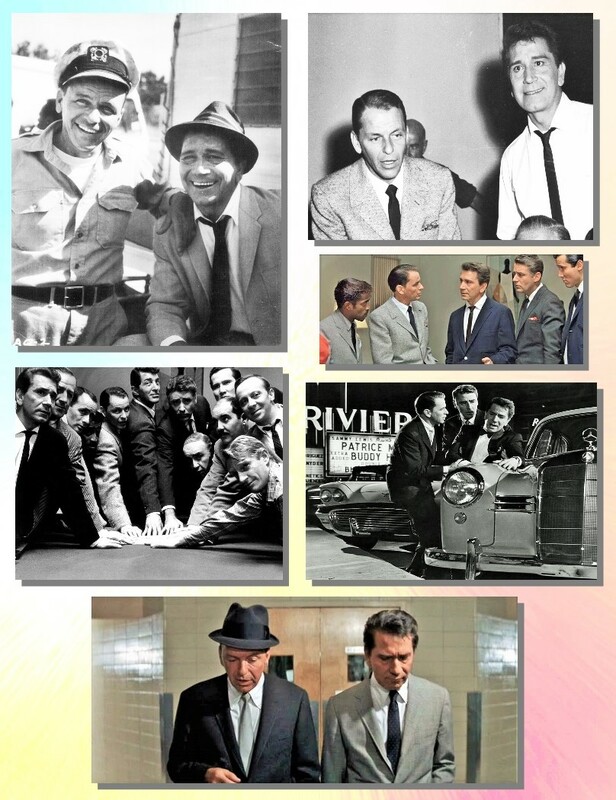 He wore it often as it became his trademark tie. 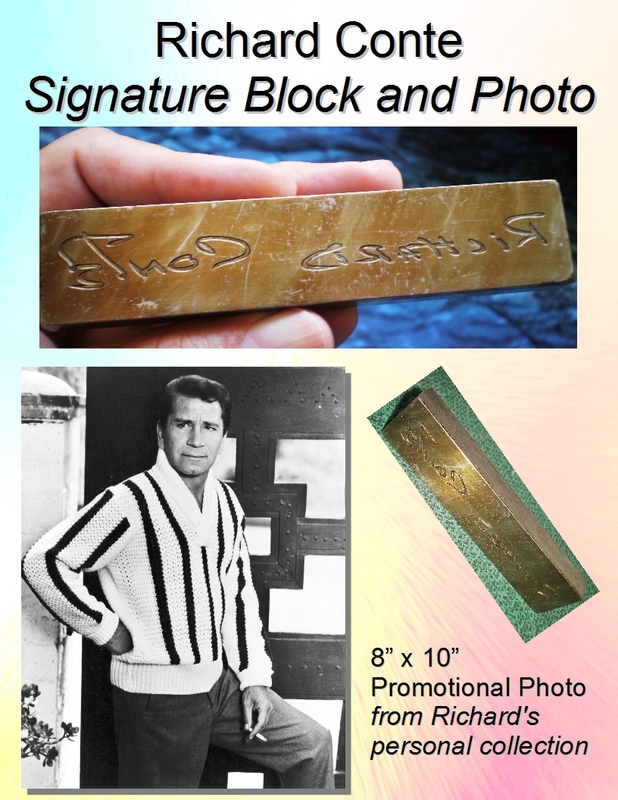 Another one of a kind item is a Richard Conte signature block that he had made many decades ago. You can find detailed information about these items and people on their individual pages on Etsy and Ebay. My seller’s name on Etsy is KStone4U and my name on Ebay is Kris4Sale. The joy of memorabilia. A few months ago I entered the Song Of The Year contest in their Lyric Only category. 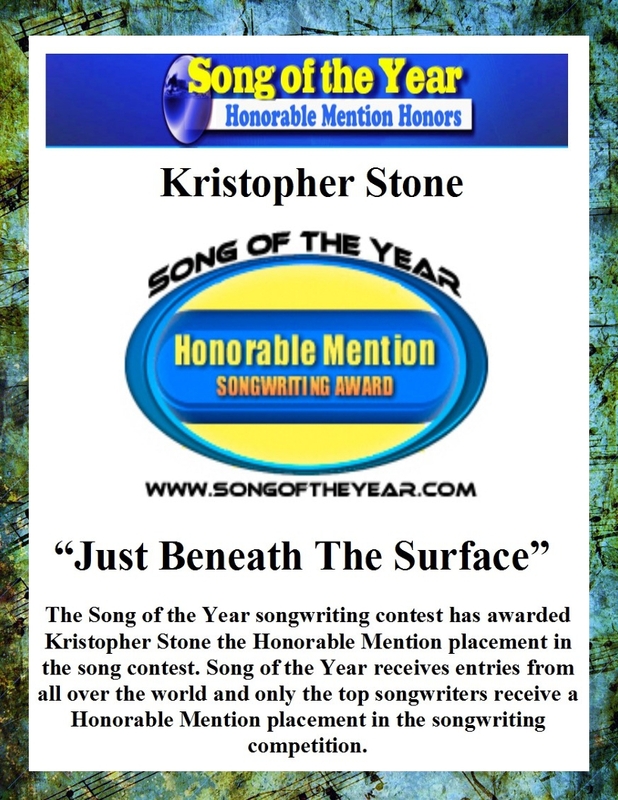 Today I received notice of winning the Honorable Mention Songwriting Award. Even though I’ve produced this song, Just Beneath The Surface in three different music styles, I always felt it was my best lyric with or without music. The story of Just Beneath The Surface was inspired by the tragedy of such events as the Columbine School shooting. In my story there is a close call, yet happy ending. This song is also the basis for a screen story that I’m working on. You can see the lyric on the Songs page accessed at the top of this page.